The dwarf lemon tree in my backyard bears too much fruit for its size. Doesn’t it have a season of not bearing fruit? It bears so much I can’t even give them all away. A few months ago I decided I couldn’t just let the fruit rot. I juiced some and froze the liquid for later lemonade use. Still too many. 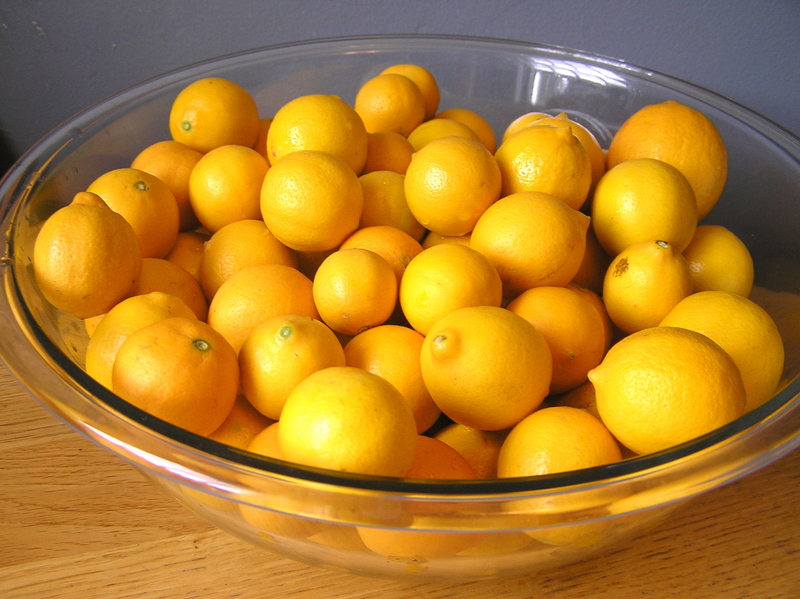 Recipes that called for lemons used scant amounts – one lemon here, two lemons there. In researching lemon recipes I stumbled upon a simple yet little-known ingredient common in Moroccan dishes. One food writer claimed it was the secret ingredient in all her grandmother’s cooking – preserved lemons. What a ridiculously easy way to use up my lemons and have a product on hand that keeps nicely for several months and can be used in innumerable recipes. 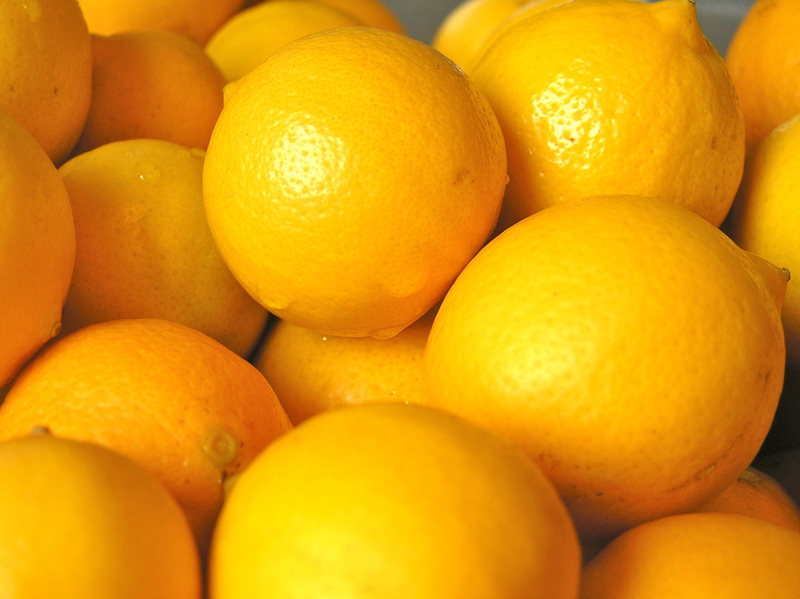 Preserved lemons can be found at specialty cooking stores with the specialty price to match. I felt like I saved a ton of money by making my own. The only problem is that I ended up with seven jars of the stuff, all prepared with a different range of recommended seasonings, including cinnamon, cardamom and coriander. Now I have so many jars I can’t even give them all away. Want one? I used David Lebovitz’s recipe which was the most straightforward and simple. Paula Wolfert’s award-winning Moroccan cookbook The Food of Morocco also has an excellent recipe at the very beginning as well as tons of recipes on how to use the product. It’s such a pleasure to find ways to use up the overabundance of fruit that grows unattended in my backyard. 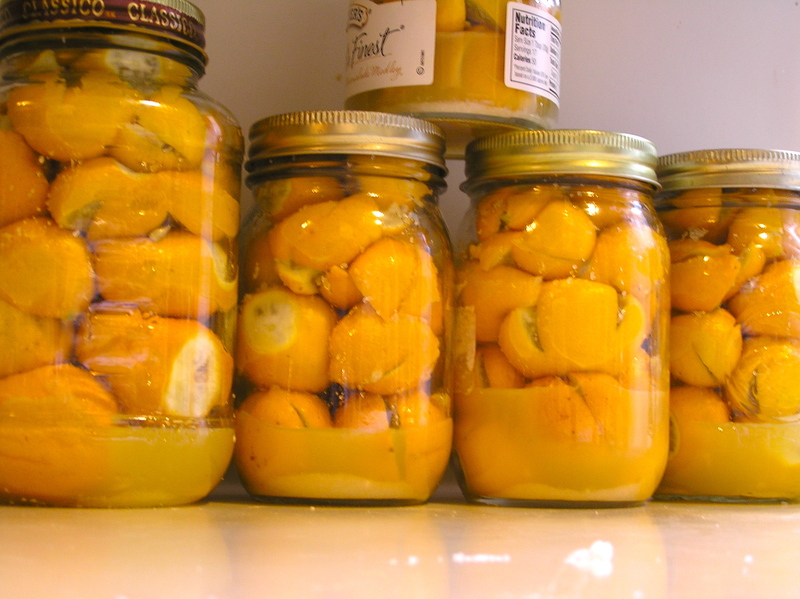 Right after jarring the lemons before crushing and covering in juice (key step in the short process). It’s yours! I’ll set it aside for you.